Real Estate: residential and commercial sales, purchases and re-financing. Business Law: incorporation and business organization; corporate changes, mergers and acquisitions; will drafting and corporate/family trust arrangements. Simon’s practice is focused in the areas of residential and commercial real estate sales, purchases and re-financing, incorporation and business organization, corporate changes, mergers and acquisitions. His practice includes will-drafting and corporate/family trust arrangements. Simon’s approach is to focus on the client’s needs and goals. Simon makes use of all the available tools in a modern practice of law to reach a satisfactory resolution of complex issues. His broad experience brings a comprehensive perspective to his advocacy and counsel. Simon will fashion creative legal solutions to exceed client expectations. Simon is a member in good standing with the Law Society of Ontario and belongs to the Toronto Lawyer’s Association. 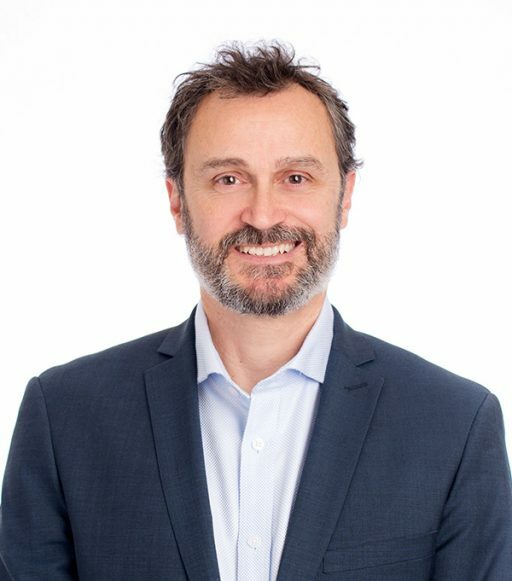 He graduated with distinction from the University of Ottawa Law School in 1989, and was called to the Bar in Ontario in 1991 and now has over 25 years’ experience in the practice of law. Simon practiced law as a sole practitioner for 10 years before joining this firm in 2001. He has been a partner at EHPNF since 2007. Over his career, Simon has practiced in many areas of law including family, litigation, criminal, employment, construction and corporate-commercial. Since 2016, Simon is proud to have assumed the busy practice of our late partner, Brian Poisson, in real estate, commercial and corporate law. Simon’s practice is now established in these areas including residential and commercial real estate sales, purchases and re-financing, incorporation and business organization, corporate changes, mergers and acquisitions, will-drafting and corporate/family trust arrangements. Family-time, canoe tripping, camping, cycling, travel, cooking and walking his dog are some of Simon’s other passions.